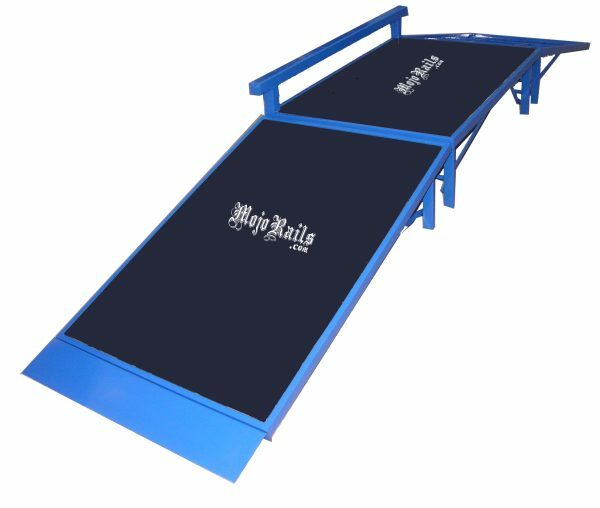 The versatile Port-A-Park consists of x2 Mojo Wedge Ramps, x1 Street box, and x1 4ft attachable Grind Rail. 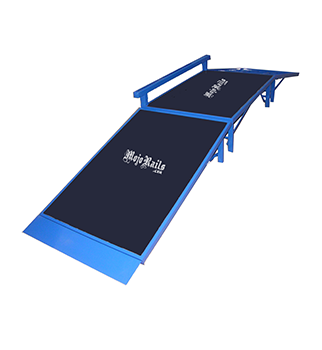 Featuring a Welded Steel Frame for maximum grinding ability, the Mojo Port-A-Park is perfect for perfecting your Skateboard, BMX Bike, Extreme Scooter, Snowboard, Inline Skate trick skills. With a Powder Coated finish and Resin Marine Grand Plywood Top, this Port-A-Park will be able to withstand your best and your worst! Weighing in at a combined 172lbs, you have the ability to test your skills the way YOU want, where YOU want, at the level YOU are at.